Dom Hemingway sells to eleven markets, including Lionsgate for UK; company inks more than 200 deals on 12 titles. 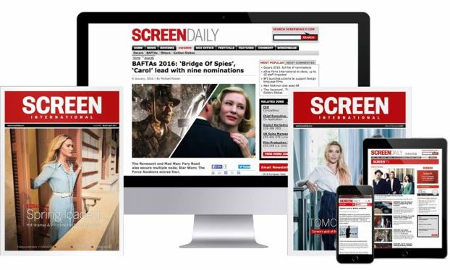 UK sales outfit HanWay posted a record Cannes, closing remaining territories on a number of titles and locking multi-territory deals on new films including Dom Hemingway starring Jude Law, Pascal Chaumeil’s A Long Way Down and Number 9’s Carol. The company secured more than 200 deals across its slate. RPC’s Dom Hemingway starring Jude Law, which is due to shoot in September sold to UK (Lionsgate), CIS (DT Productions), Australia (Transmission) Latin America (Swen), Scandinavia (Mis. Label), Israel (United King), Turkey (Mars Distribution), Middle East (Front Row), Ex-Yugoslavia (Cinemania), Hungary and Romania (Pro Rom), Czech Republic (AQS), South Korea (KT&G), Taiwan (Catchplay). Nick Hornby adaptation A Long Way Down from director Pascal Chaumeil and producers Finola Dwyer and Amanda Posey, starring Pierce Brosnan and Toni Collette, sold to Benelux (Benelux Film Distributors), Latin America (Swen), Israel (United King), Poland (Best Film), Czech Republic & Hungary (EEAP), Ex-Yugoslavia (Cinemania) and Middle East (Front Row). HanWay had previously announced deals for the UK (Lionsgate), German speaking Europe (DCM) and Scandinavia (Svensk). Number 9’s Carol, adapted from Patricia Highsmith’s novel The Price of Salt, set to star Cate Blanchett and Mia Wasikowska sold to France (TF1/UGC), Australia (Icon), Latin America (Swen), Benelux (Cinemien) and Switzerland (Monopole Pathe). Jim Jarmusch’s RPC production Only Lovers Left Alive starring Tom Hiddleston, Tilda Swinton and Mia Wasikowska, which starts filming in July, found distributors in Spain (Vertigo), CIS (Carmen), Scandinavia (Non Stop), Australia (Madman), Japan (Longride), Switzerland (Filmcoopi), Poland (Gutek), Israel (United King), Greece (Odeon), Ex Yugoslavia (Cinemania), Hungary (EEAP), Middle East (Front Row) and Airlines (Jaguar). Martin McDonagh’s Seven Psychopaths locked last remaining deals for Germany (DCM), Scandinavia (Nordisk), Switzerland (Monopole Pathe), Poland (Best Film), Taiwan (Catchplay), Israel (United King), South Africa (Video Vision), Singapore (Cathay) and Airlines (Jaguar). Michael Hoffman’s Girls’ Night Out from Ecosse Films closed out in Germany (Concorde), Spain (Vertigo), CIS (Carmen), Switzerland (Impuls), Benelux (Benelux Film Distributors), Hungary & Czech Republic (EEAP), Hong Kong (Sundream), South Africa (Nu Metro) Ex Yugoslavia (Cinemania) and Airlines (Jaguar). Daniel Stamm’s supernatural chiller The Darkness went to UK (Icon) and Germany (Koch), while Paul Giamatti and Paul Rudd comedy Lucky Dog was acquired in Germany (Koch), Spain (Avalon), Latin America (Latin America Theatrical), Poland (Best Film) and Ex-Yugoslavia (Cinemania). Dustin Hoffman’s Quartet found a home in its last remaining territories Japan (Gaga), Turkey (Mars Distribution) and Poland (Best Film) following the US acquisition by The Weinstein Company. RPC adventure Kon Tiki sold to Australia (Transmission) and CIS (Luxor). Mike Newell’s Great Expectations was sold to the last remaining territories of Benelux (Paradiso), Israel (United King) and Latin America (Vinny). God Help The Girl sold to the UK (Metrodome), Spain (A Contracorriente), Middle East (Front Row) and Israel (United King). During the market Hanway also boarded Tracks, starring Mia Wasikowska from See-Saw producers Emile Sherman and Iain Canning and The Big Shoe, starring Jim Sturgess and Susan Sarandon. “This level of success is really a testament to our strong and efficient team and to our invaluable producer relationships,” he continued.